Matt is a Champaign County native who attended Champaign schools as a child, followed by earning his undergraduate and his juris doctor degrees from the University of Illinois. After doubling his real estate business during law school, Matt decided to continue a career he already loved, rather than changing careers to practice law. Matt's law school education makes him uniquely well qualified as an advocate, negotiator, and problem solver on behalf of his clients.Matt's hobbies include running, bicycling and photography. He has run eight full marathons since 2009, and he can usually be found training outside during every month of the year for either a spring or fall marathon. During warm weather, non-running days are often spent cross-training on a road bike. Matt has grown photography from an interest to an obsession, amassing a collection of professional gear, which he unleashes on his real estate listings, capturing stunning images that are unrivaled by any of his local colleagues. Matt was also the 2012 President of the Champaign County Association of REALTORS®, a 450 member trade organization. 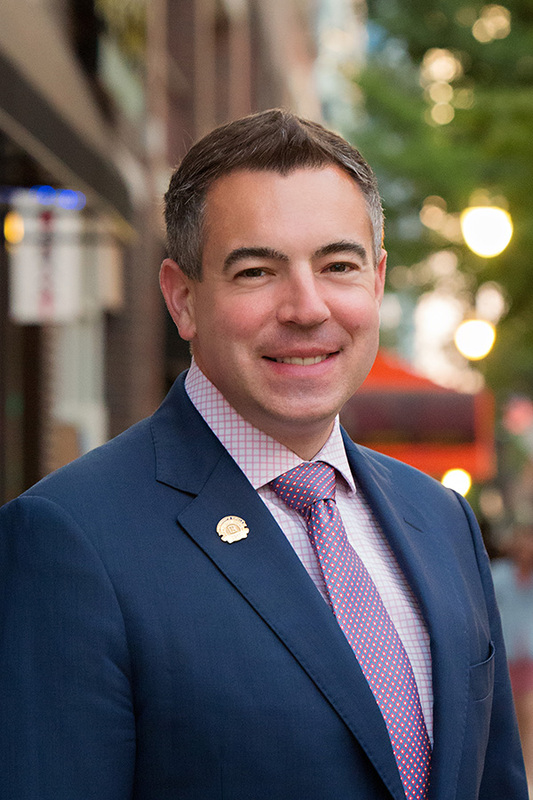 Matt also volunteers with the 40,000 member Illinois Association of REALTORS® in a variety of roles, currently serving as vice-chair of the organization's Public Policy and Government Affairs Member Involvement Group. Matt also serves as the volunteer photographer for Central Illinois Honor Flight, a non-profit organization that provides free trips to Washington, D.C., to honor WWII veterans.Matt's work is motivated by a genuine passion for real estate and for assisting people who are in the midst of a hugely important and complicated process. In the course of his 15 years of practice, he has represented hundreds of clients, attended hundreds of home inspections, and toured thousands of properties in the area. His unique combination of experience and education provides him with expert credentials, and he works to share his expertise with each client to make the home buying or selling process as painless as possible. Matt@MattDifanis.com or 217-373-4877. Jeffrey is a graduate of Bloomington High School and has lived in central Illinois his entire life. He has been a sales professional in Champaign-Urbana for over 15 years and takes great pride in helping others to find the right fit for their needs. He was married to his wife Dana in 1996 and they have three talented and charming children: Dakota, Eliza, and Owen. His personal interests include sailing, golf, and music history. Jeffrey is also well known for his stage presence in The Hillbilly Jones band and continues to build his reputation as a licensed Realtor. Whether you are looking to buy or sell, Jeffrey will do his very best to make your transition as swift and smooth as possible. He can be reached at Jeffrey@MattDifanis.com or 309-530-5668. Originally from the small town of Onarga (about an hour north of Champaign-Urbana), Jayme graduated from Southern Illinois University Edwardsville in 2008 with a bachelor's degree in Speech-Language Pathology/Audiology. She has spent time living in Carbondale and in St. Louis before returning to Central Illinois. Prior to joining the Difanis Real Estate Team, she worked as an unlicensed office staffer at a large commercial and apartment management real estate firm. Jayme brings an incomparable level of care for her clients' best interests, along with a high level of diligence and attention to detail. Contact Jayme at Jayme@MattDifanis.com or 217-373-4967 for a no pressure consultation. Tracy is a native of the Champaign area. She graduated from Centennial High School. Tracy joined Matt's team as the team's administrative assistant in summer 2011. Her Team Manager duties include coordinating advertising, providing regular updates to clients, processing transaction documents, and a wide variety of other tasks that help the licensed team members do their jobs better. Prior to landing on Matt's real estate team, Tracy worked for many years for the Army Corps of Engineers in Champaign—an environment that required extraordinary skill and attention to detail. Tracy's husband completed his fifth (!!) deployment with the Army National Guard in Afghanistan in April 2012. Tracy may be reached at Tracy@MattDifanis.com or 217-373-4876. Katelyn is a Mahomet native, a 2007 alumnus of The High school of Saint Thomas More and a 2011 graduate of Southern Illinois University Carbondale. Her Bachelor's degrees in Journalism for Advertising IMC and in Cinema and Photography have given her valuable skills to be a highly successful Multi Media and Technology Specialist for The Matt Difanis Team and Champaign RE/MAX Realty Associates. Katelyn's prior work included creating media plans and promotional videos for various Champaign-Urbana companies. Katelyn personal interests including running, fusing and slumping glass, and volunteering for local non-profit organizations. Katelyn volunteers by creating media spots for The Champaign County Down Syndrome Network and a acting as a board member; and photo/video volunteer for the Tom Jones Challenger League. Katelyn can be reached at Katelyn@MattDifanis.com or 217-373-4889 .